You are so cute and pretty, Cheri! 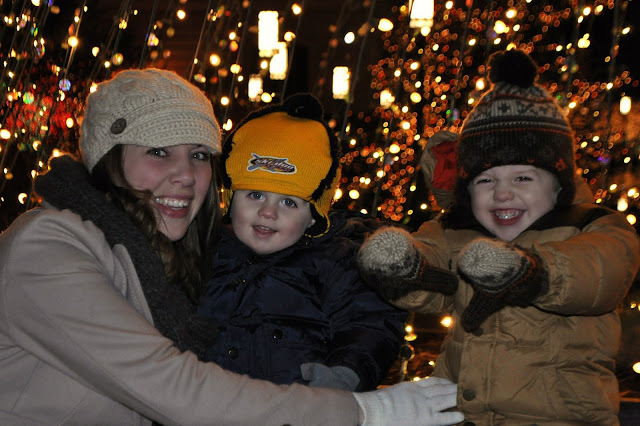 We love going to the lights every year as well! They are so beautiful! 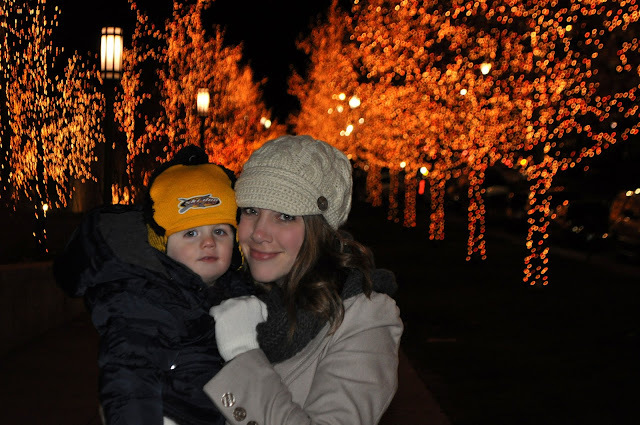 Love the lights on Temple Square! Is this NOT a family tradition for anyone in Utah?! And I forgot to ask, where did you get your adorable hat?! I love temple square! I live on the east coast and have only been there in the summer. I would love to see the lights some time! You guys all look so cute! we made it there twice this year which was really fun for us. We have never lived this close and our kids had never been! I don't ever wish I live in Utah except for when I think of the Christmas lights at temple square. Love them! Those lights are beautiful! It looks so lovely and winter wonderlandy at your place right now. We are just starting to get our Summer heat through here after lots of rainy overcast days. Our four year old is Iron Man too! I think he has managed to channel most of the super heroes by now. Woo Hoo for cleaning out the house before New Years! Quick trip to Goodwill for last minute tax deductions! My son had a phase where he was Lightning McQueen and all of us had our "Cars" names. Such fun!